When you live in Northeast Ohio, Niagara Falls is only about a 3 hour drive and it becomes a regular summer outing for many. 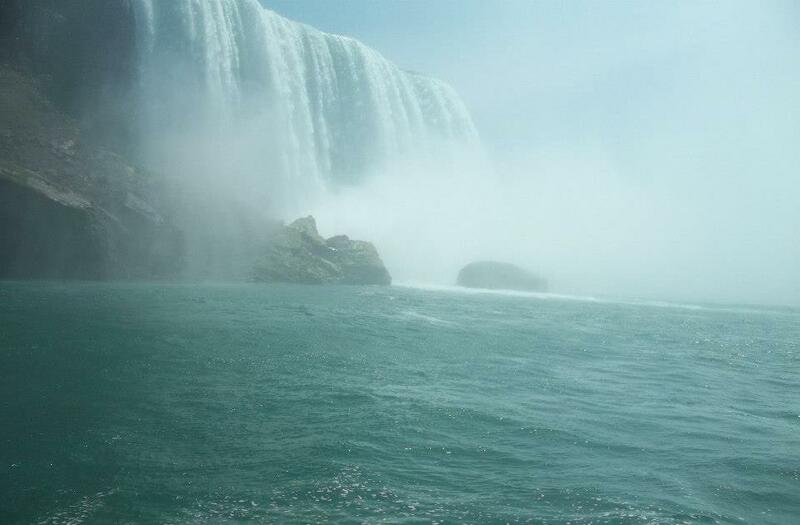 While I don’t visit the falls every summer, I have visited many times. It’s a great place to spend a day or even longer as there are so many things to do. When we discovered that my parents had never been to Niagara Falls Doc and I decided we should make a family trip of it. Doc and I, Mom and Dad, sister Julie and her husband John, daughter Amy and son-in-law Bill, our two grandsons and Amy’s half brother Mark all piled into multiple cars and carpooled our way to the falls. 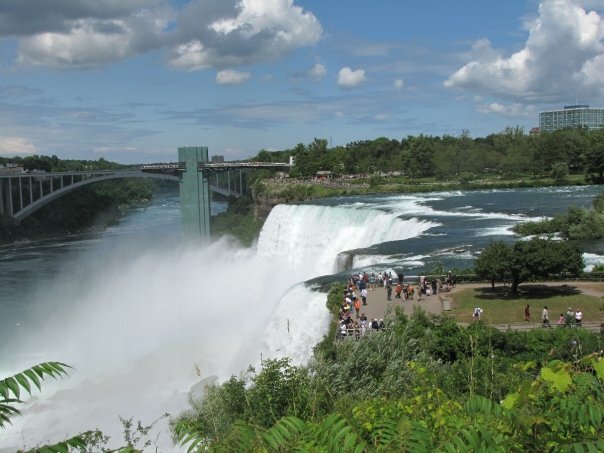 The American side of the falls are a part of the 400 acre Niagara Falls State Park and features long paved walking trails leading you to various view points, one coming to within 20 feet of the raging water. 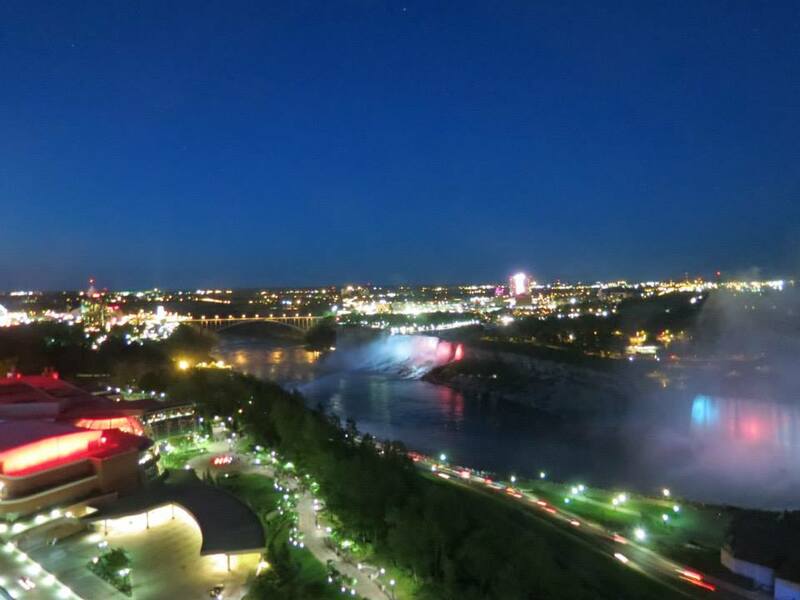 A tower lets you walk right out over the river for a stunning view of both the American and Canadian falls. It was here that we first discovered our grandson Caleb’s fear of heights! 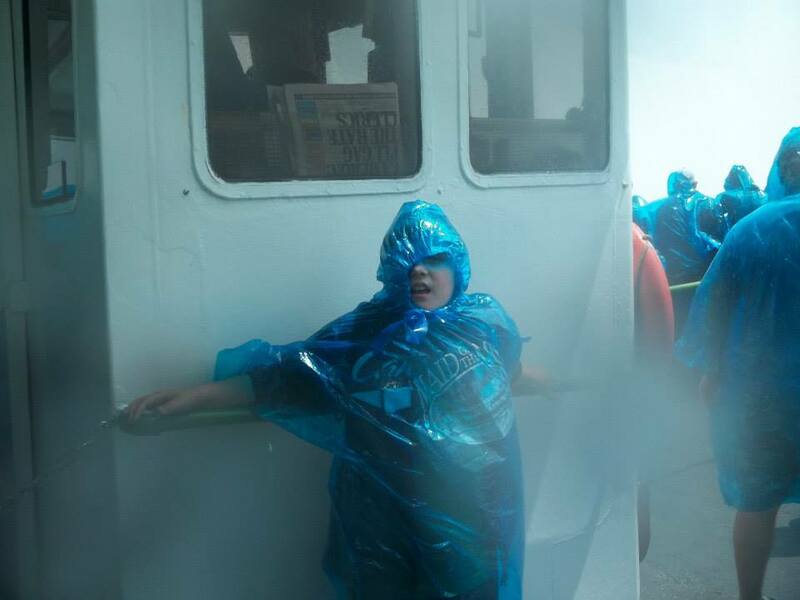 Maid of the Mist rain coats keep you dry — sorta. 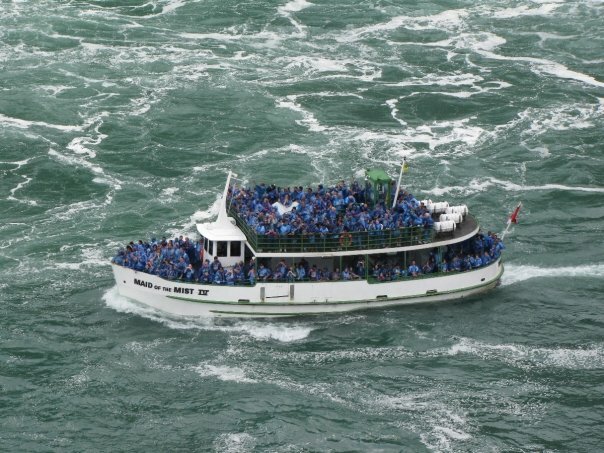 From the American side you can ride the Maid of the Mist boat and take the Cave of the Winds tour that allows you to stand at the foot of the falls being sprayed by the thundering water. There is also an aquarium and a Daredevil Museum as well as some other attractions. 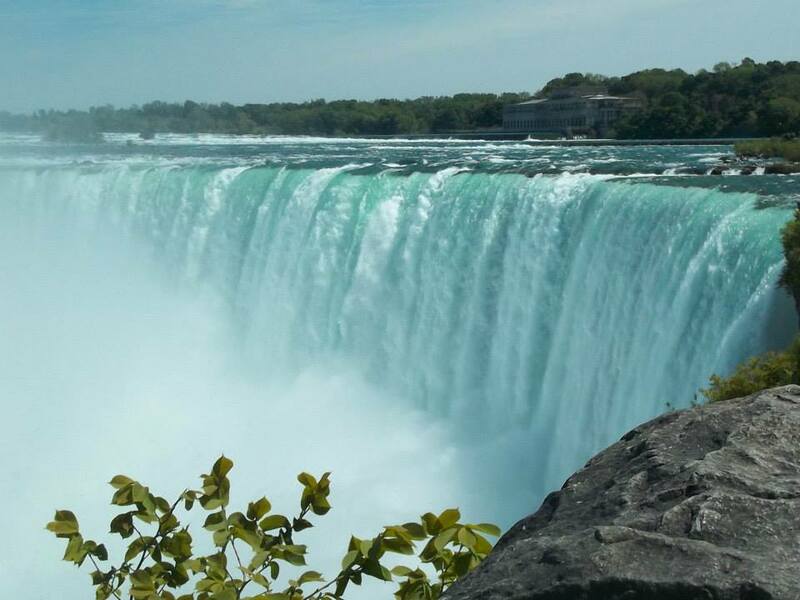 The best thing about the American side of the falls though, is the natural beauty of the park and the Niagara Gorge trails. A lovely natural area, the American side is where you can enjoy the landscape, do some hiking and picnic. 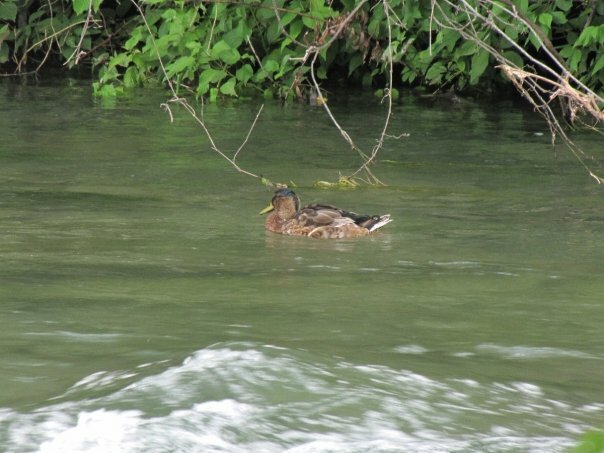 You’ll see ducks swimming and get a glimpse of what the falls and surrounding area looked like when they were first discovered by early explorers. Americans don’t need a passport to visit here so for many, this is as far as they get. And it’s a great destination of its own accord. If you can’t cross the bridge to Canada for lack of a passport, you shouldn’t think that you’re missing out. 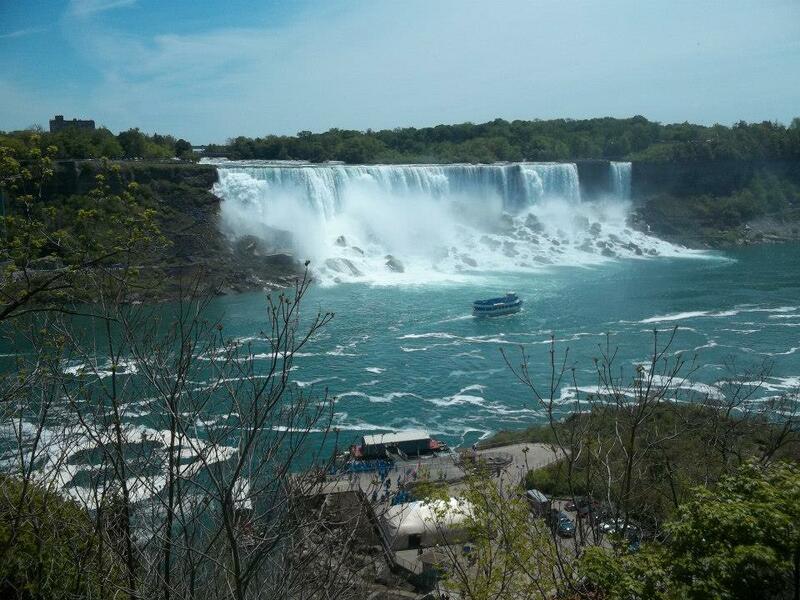 The American side of the falls is a great place to spend some time. If you are going to head across one of the bridges to the Canadian side of the falls you’ll find lots to do. 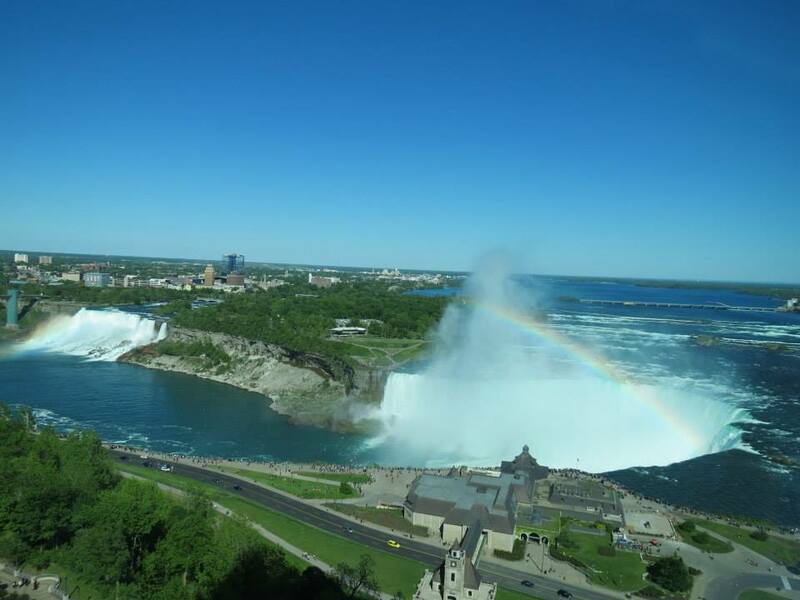 From Skylon Tower to Tussaud’s Waxworks, Maid of the Mist, Guiness World Records, The Criminal Hall of Fame, Ripley’s, haunted houses, mini golf, arcades and go-karts, the list of Canadian side attractions goes on and on. You can even try your luck at the glitzy Casino Niagara or Fallsview Casino Resort. The view from Goat Island between the American and Canadian Falls. You can see the American observation deck in the background. My favorite activity though still remains riding the Maid of the Mist. You slip into your blue raincoat and then stand on the deck as the shaky, little boat sails closer and closer through the mist toward the base of the falls. The novelty never wears off and I enjoy this excursion every time we take it. 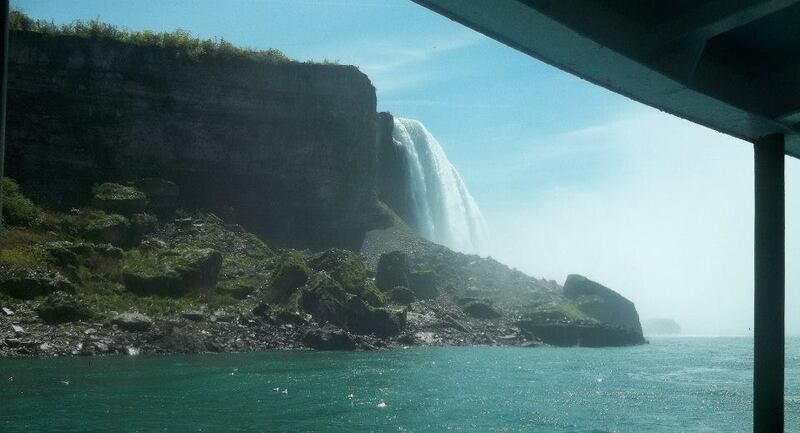 Visiting the American and/or Canadian side of the falls makes for a great vacation. I’ve been to both sides of the falls many times and I still haven’t come close to doing and seeing everything there is to do and see. Even if you are only passing through and all you do is stop for 15 minutes to look at the falls it is worth the trip. Pictures can never do justice to the beauty or give you a real idea of the grand scale of Niagara Falls. You need to see it for yourself. Lovely! I have to get here someday.